Place the flour, eggs, buttermilk and fish sauce in a large bowl and whisk to combine. Add the kimchi and onion and mix well to combine. 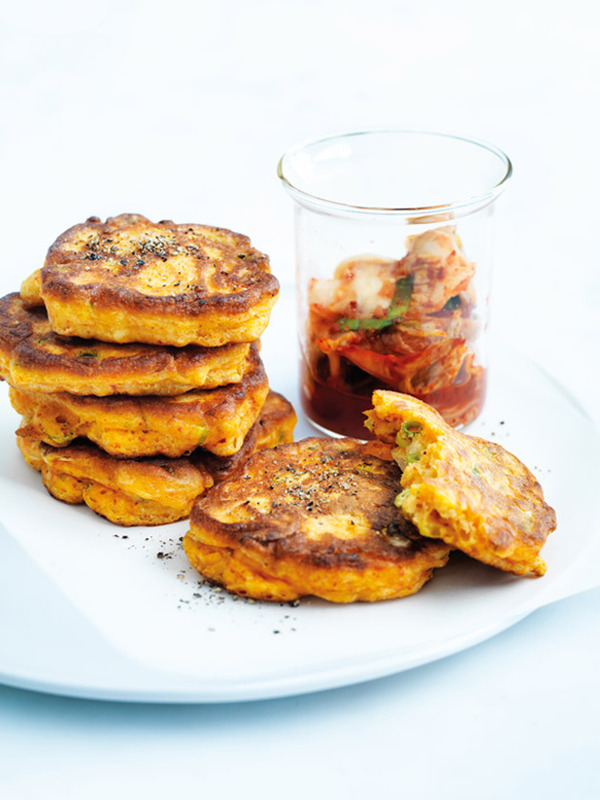 Tip: You can find ready-made kimchi at Asian supermarkets and grocery stores.